The Pet Patrol Dog Hotel is an all-inclusive dog daycare and boarding facility that caters to dog owners who desire to provide quality care, exercise and socialization for their pets while they are at work or on vacation. We are dedicated to consistently providing high customer satisfaction by rendering excellent service, quality pet care, and furnishing a fun, clean, enjoyable atmosphere at an acceptable price. We maintain a friendly creative work environment that respects diversity, ideas, and hard work. 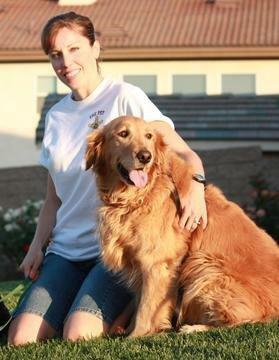 The Pet Patrol Professional Pet Sitting company was created by Erika Allis in 2006. Erika has a bachelors degree in business and gained experience as a pet sitter, dog walker, pet advocate, pet enthusiast, and business owner over the past 11 years. The Pet Patrol pet sitting company had over 5000 clients in its history and serviced the areas of Eastvale, Norco, Corona, Chino, Ontario, and Jurupa Valley. The Pet Patrol was very active in the community and was voted the #1 Pet Sitting Service Inland Empire by MyFoxLA, was featured in the Press Enterprise newspaper multiple times, and supported local rescues and organizations to help re-home animals from local shelters. Erika ran the Pet Patrol along with creating the Eastvale Lost and Found Pets Facebook page which has thousands of followers who help get lost and found pets back home to their owners. In 2015 Erika expanded her love for animals by putting the wheels in motion to take the Pet Patrol to the next level. She started building the foundation for the Pet Patrol Dog Hotel. Erika was able to bring together a dedicated group of pet care professionals who love and care for dogs as if they were their own. We look forward to having you join the Pet Patrol family!